I'm a musical theater nerd. But I'm not the kind of musical theater nerd that listens to cast albums of shows I've never seen. I guess for me, musicals are more about seeing the story as it plays out before me, and then I often buy the cast recording to relive that experience. So when it comes to musicals that are beloved in the musical theater community but rarely performed, for whatever reason, I typically have not heard them. That's where Second Fiddle Productions (and Artistic Director Ruthie Baker) come in. Now in their third season, Second Fiddle produces readings of rare musicals using some of the Twin Cities finest music-theater talent. 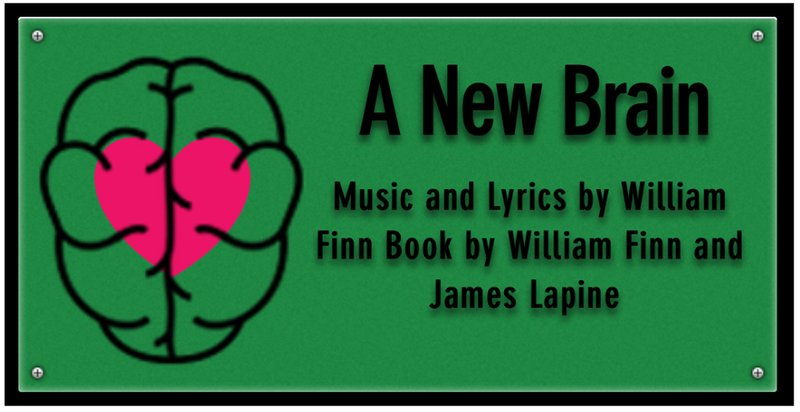 Last night I was introduced to the clever, funny, complex, varied, and beautiful show A New Brain, written by William Finn (composer/lyricist of Spelling Bee, among many others). This autobiographical show started out as a song cycle and expresses his experience with AVM and brain surgery through music (because that's what artists do). But it's not just about brain surgery, it's about friendship, family, love, and art. Besides introducing me to new musicals, I love Second Fiddle for providing a showcase for local music-theater artists. 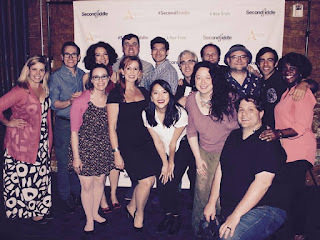 The talent on that stage was almost overwhelming, and everyone in the ten-person cast (directed by Paul Coate with music direction by Nic Delcambre) deserves to be cast in a lead role on one of our many stages. Basking in their glorious talent helped ease the pain of the Guthrie's recent South Pacific cast announcement which included very few local actors in lead roles. The role of Gordon (aka William) was sung by Kyle Picha, whom I know mostly as a music director, so it was a treat to find out he's also a wonderful leading man. Similarly, I know Rush Benson and Tony Vierling primarily as fantastic dancers, so it was fun to have a chance to see them just stand there and sing. The always fabulous Whitney Rhodes (somebody please cast this woman in the lead role of something!) sang the role of Gordon's best friend, Wes Mouri was positively dreamy as Gordon's boyfriend Roger, Jay Albright was as dryly hilarious as always as Mr. Bungee, and Jen Burleigh-Bentz made me cry. Rounding out the ensemble and providing great support were Hope Nordquist, Charla Marie Bailey, and Kym Chambers. 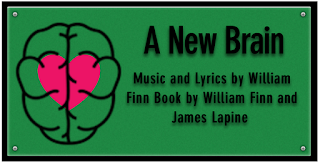 Think of Second Fiddle Productions as your chance to hear the score of a musical you may never have seen, almost like listening to the cast recording, but better because it's brought to life in front of you by amazingly talented local music-theater artists. Their next show is Chess (another show I don't know) on August 22, to be followed by 110 in the Shade this fall. Friends, these are one-night-only events, so mark your calendar and like their Facebook page or follow them on Twitter for updates. Second Fiddle should take a lyric from A New Brain as their new tagline: "Heart and music make a song!"